Check out the 2018 Carolina Gridiron Championship Central page. Stay tuned for updates, insights, and analysis from teams and games around the state as schools start their journey towards the state championship. CarolinaGridiron.com releases Top 15 Rankings every week. Be sure to check back each Thursday duing the season to see where your favorite team is ranked. 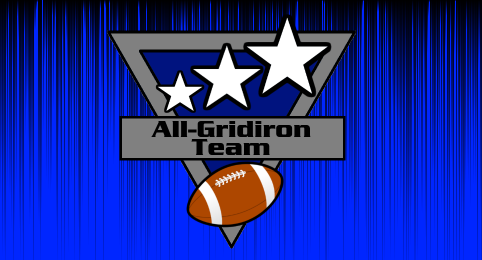 Carolina Gridiron is expanding coverage of Division I, II and III college football teams in the state of North Carolina every season. See how your favorite college team is doing on the gridiron this season. 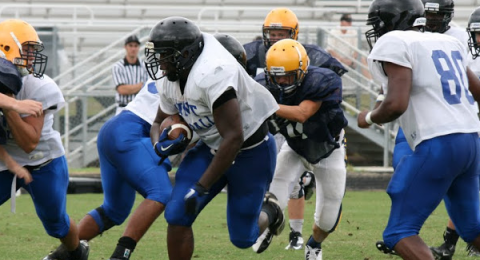 With your help, we are able to yearly put together the most comprehensive statewide high school football jamboree/scrimmage list in North Carolina. We are beginning the 2019 list now. Be sure to check back for more scrimmages and jamborees. 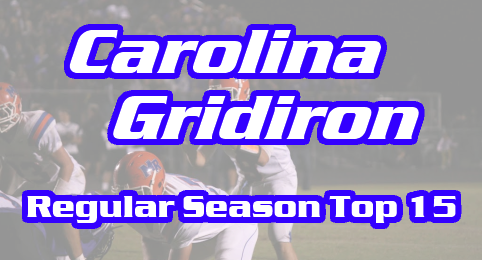 Check out the Carolina Gridiron FAIR Rankings archives to see where your team has stacked up during past seasons. The 2019 rankings will be released once all teams have played at least one game against an NCHSAA opponent. GREENVILLE – ECU has added a home game against William & Mary to complete its 2019 non-conference football schedule according to an announcement by director of athletics Jon Gilbert on Wednesday. The contest, which is set to be played Sept. 21 at Dowdy-Ficklen Stadium, will be the 18th overall meeting between the one-time Southern Conference rivals who faced each other annually for 13-straight seasons from 1971 to 1983. “One of our top priorities over the past month has been to finalize our 2019 schedule and we accomplished that today by adding a sixth home game with William & Mary,” Gilbert said. 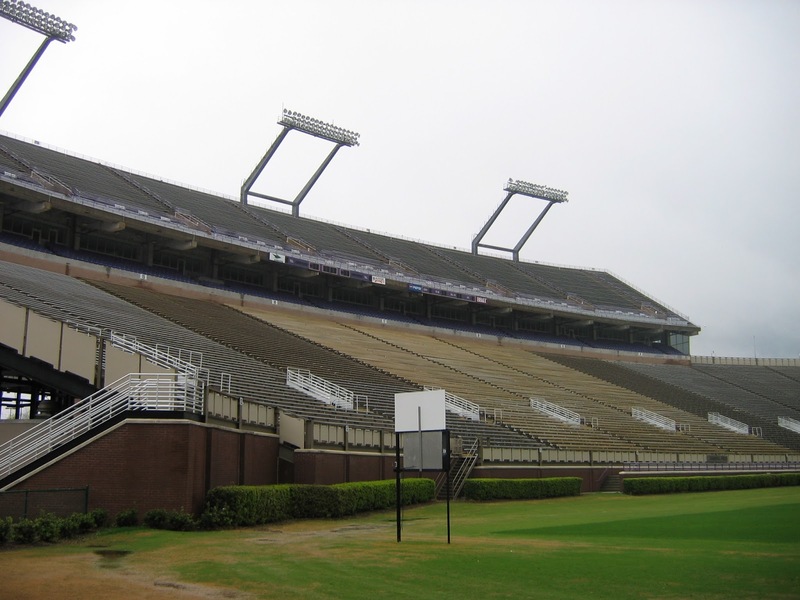 “We had talks with several FCS and FBS schools over the past month about scheduling a game. We began discussions with William & Mary’s administration earlier this month about partnering together and we are excited to have the Tribe visit Dowdy-Ficklen Stadium this September. 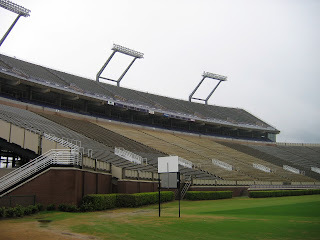 ECU owns a 12-4-1 lead in the series, but the two programs haven't played since the Pirates used David Garrard's three touchdown passes and Leonard Henry's 111 rushing yards to defeat the Tribe 38-23 on Sept. 22, 2001 in front of 40,179 fans, which ranked as the fifth-largest crowd in Dowdy-Ficklen Stadium history at the time. Of the 17 previous meetings, nine have been played in Greenville - six resulting in ECU victories. Both programs feature first-year head coaches after the appointments of Mike London (Nov. 19) and Mike Houston (Dec. 3) to lead the Tribe and Pirates, respectively. ECU was 3-9 last fall and stood fifth in the American Athletic Conference’s East Division with a 1-7 ledger before hiring Houston from James Madison, where he guided the Dukes to a 37-6 record, three-straight Football Championship Subdivision playoff appearances, two title game showings and the 2016 national championship. During Houston's tenure with JMU in the Colonial Athletic Association, he owned a 3-0 all-time mark against William & Mary. The Tribe posted a 4-6 record in 2018, which included a 3-4 clip in the CAA. William & Mary, which has faced at least one Football Bowl Subdivision (FBS) opponent each season since 1998, also plays at Atlantic Coast Conference member Virginia this fall. 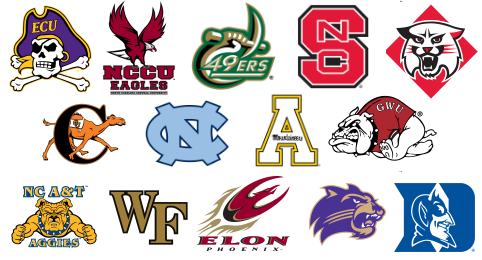 In addition to the Tribe, ECU's 2019 non-conference slate features previously announced games against NC State (road) on Aug. 31, Gardner-Webb (home) on Sept. 7 and Old Dominion (road) on Sept. 28. All dates are subject to change based on future television programming needs. "We knew, as tough as these players were, if they smelled any fear or weakness or confusion out of us, you can't fake it," Ivey said. "We decided we'd have fun with it and make sure they'd get exactly what they've been getting all along. If we did that, they'd give us exactly what they've been giving. That's what they did, and they were phenomenal." Appalachian led 24-6 at halftime Saturday even though Middle Tennessee (8-6) reached the App State 30 on four first-half drives, with Josh Thomas' red zone interception in the first quarter serving as a key momentum swing, and senior Okon Godwin accounted for 2.5 of the defense's six sacks. Anthony Flory, Demetrius Taylor, and Chris Willis contributed in that category, and Tae Hayes also posted a first-half interception. 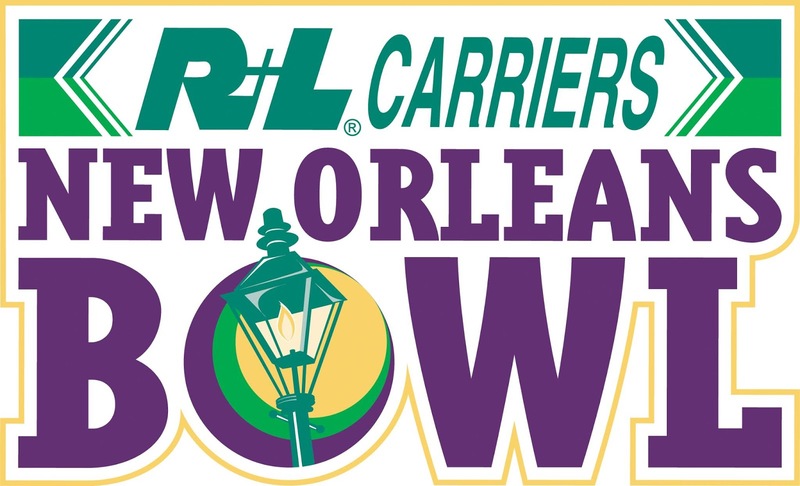 In addition to becoming the first App State quarterback to catch a touchdown pass in at least 35 yards, New Orleans Bowl MVP Zac Thomas threw three touchdown passes, including his ninth and 10th connections of the season with Corey Sutton. With Thomas Hennigan catching Williams' first touchdown pass and Henry Pearson also scoring on a Thomas throw, the Mountaineers totaled five TDs through the air. Darrynton Evans rushed for 108 yards to go over 100 for the seventh time in the last nine games, and true freshman Camerun Peoples' 63-yard score on his second carry of the night gave the Mountaineers a 38-6 lead midway through the third quarter. "The culture we have here at App State, you really can't explain it," said two-year captain MyQuon Stout, whose work at nose tackle played a key role for a defense that didn't allow 20 points in any of the team's 11 wins. "It's great coaches, great staff, great players. We break it down on 'Family' every day, like two or three times a day. We really care about each other and work hard for each other." App State's first two touchdowns came on passes from Williams, but two turnovers in the first five offensive plays created an uphill battle for the Mountaineers. Middle Tennessee, which had missed a 47-yard field goal to cap the game-opening series, followed a quick interception on App State's first series with a 24-yard field goal. The Blue Raiders faced a second down from the Appalachian 5 before Godwin and Noel Cook combined on a tackle for loss, and Desmond Franklin broke up a third-down pass to the end zone. A fumble on the second play of App State's next series gave Middle Tennessee possession at the Mountaineers' 21, but Cook's pressure contributed to an interception by Josh Thomas at the 15 as left-handed quarterback Brent Stockstill rolled to his right. "Making turnovers, that's just what our defensive backs have talked about all year," Thomas said. We're real greedy when it comes to picks." Zac Thomas' 35-yard completion to Jalen Virgil was the big play on a drive that ended with a 22-yard field goal from Chandler Staton, whose kick followed a long snap from fill-in true freshman Max Durschlag. That was the second time in two seasons that App State had scored with Hennigan catching a pass from Williams, whose next TD throw of the night followed a Hayes interception that resulted from Elijah Diarrassouba's quarterback pressure. "Before the game, Coach (Justin Watts) told me I was going to have two passing touchdowns before this game was over," Williams said. "After that, I told Zac it felt better throwing him a touchdown than receiving one from him." 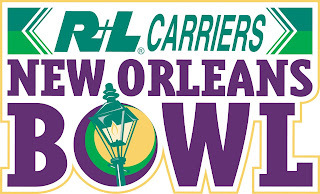 In last year's bowl win, Williams tried to throw a short touchdown pass to quarterback Taylor Lamb but kept the ball for a score when Lamb was unavailable as a target. On Saturday, after taking a reverse handoff from Evans, Williams rolled right and lofted an 8-yard touchdown pass to Thomas in the right side of the end zone for a 17-3 advantage with 6:38 remaining in the half. The only other touchdown with an App State quarterback reaching the end zone on a pass play in recent memory occurred in 2010 when DeAndre Presley was credited with a TD "reception" on a play in which he recovered his receiver's fumble against Chattanooga and ran the final 33 yards with the ball. "I've had my eyes on that play for a while, so today it was the perfect call," Thomas said. Evans' 62-yard run set up Pearson's 1-yard touchdown reception in the final minute of the half, and Middle Tennessee advanced to the Appalachian 16 before settling for a 33-yard field goal as time expired in the second quarter. Clark, App State's run game coordinator and offensive line coach before Scott Satterfield's departure created the need for a new play-caller, had planned to coach from the seventh-floor booth for one half and then make a decision about the second half. He stayed upstairs instead of returning to his familiar spot on the sidelines, in part so he could maintain his bigger-picture approach to directing the offense. "I knew if I was on the sideline I'd be more involved watching the offensive line than trying to watch the whole game," Clark said. "For me personally, I had to get away from it. (QB coach) Pete Thomas did a great job, and it was the offensive staff calling the plays. I told them that it can't be hectic on the headset. We're going to think about it, and we're going to take our shots, and we're going for broke." "The feeling is indescribable," Peoples said. "I've been preparing all year, waiting on it. With the redshirt rule, I've been patient, waiting my turn. To get in, see that opening, I'm asking God to give me everything in my legs and let me get in this end zone. The bulls up front, they did a great job, so it's really just a team thing." Middle Tennessee posted a third-quarter touchdown to cut into its deficit, but App State's defense applied constant pressure to Stockstill the rest of the way, and Sutton capped the scoring on an 11-yard touchdown with 13:06 remaining. Willis and Godwin recorded sacks on the next series, enabling App State's coaches to play senior quarterback Zeb Speir, senior receiver Brad Absher and many other reserves in the closing minutes. As time wound down, players repeatedly chanted Ivey's name. He was even lifted into the air and carried across part of the field. As the celebratory, Ivey-led song suggests, it wasn't nothin' but an App State party. "For me personally, this was my last game," Godwin said, "and I just wanted to leave everything on the field." DURHAM – East Forsyth came from behind twice in the second half to tie Scotland, eventually taking the lead with just 2:45 to play and hanging on for a 35-28 victory and the school’s second state championship. Scotland mounted another incredible drive spanning 13 plays and crossing 57 yards before McQueen tied the game at 14 on a three-yard touchdown run with 4:05 to go in the half. Just under two minutes later, East Forsyth surged back in front 21-14 as Ty’Shaun Lyles hit Nick Childs for a 51-yard touchdown strike with 2:12 to go in the half. Scotland sped down the field in the final two minutes of the half. The Scots ripped off a 66-yard drive in nine plays with Mandrell Johnson sliding in the end zone from two yards out with just two seconds to spare before halftime, tying the score at 21. East Forsyth came alive in the final minutes as Lyles hooked up with Mizell Hall twice for scoring strikes to surge in front 35-28. The first of the two touchdown passes came as Lyles scrambled towards the right sideline, spotting Hall open in the middle of the field and throwing against his body to make the play. Hall pulled the lofted pass in and scampered the rest of the 22 yards into the end zone to tie the game at 28 with 6:03 to go. Then with 2:45 to play, Lyles spotted Hall uncovered in the formation and called for the snap before the play had even been relayed to his teammates, Hall pulled in the quick pass and scurried 14 yards into the left corner of the end zone to put the Eagles on top by the decisive 35-28 margin.